Izidor, supravieţuitorul din „Orfelinatul Groazei“ din Sighetu Marmaţiei: Există copii care. 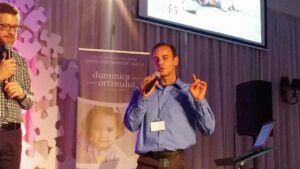 The Observator interviews Izidor Ruckel about the long-term effects of orphanage life. 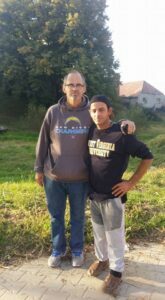 In April 2016, as Izidor was packing up to head back to the United States after a one-month visit to Romania, he received a one-year job offer from Love Light Romania (LLR). Izidor decided to stay and work with the nonprofit whose mission it is to serve orphans and the poor around Medias. Ten months later, his stay has made a difference in the lives of many children in the community – and he’s decided to stay longer. 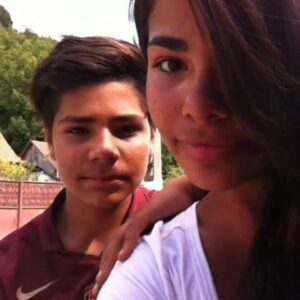 Izidor’s main responsibility at LLR is to mentor two live-in teenagers, Persida (15) and Cristi (14). Izidor has spent hundreds of hours with the siblings hoping to teach them life and relationship skills, as well taking them into town for fun getaways. “They’ve taught me a thing or two, as well,” Izidor reported. Izidor assisted LLR with running several rounds of summer camp for children from the surrounding villages. In all, over 100 children attended camp for a week at time, enjoying activities like living in tents, rock climbing, soccer, archery, and wheel barrel races. Most of the children had never been away from their families before and especially appreciated the evening ritual of music around a large campfire. In addition to working with LLR, Izidor continued facilitating adoptee reunions with the help of ProTV’s La Maruta show. His nine-day run on the live talk show in 2015 with his birth mom and adoptive mom launched him into becoming a household name in Romania. The relationship he built with the production team led to a part-time position with the network. In all, Izidor helped eight adoptees meet their birth families on the show. He also privately facilitated two other reunions. Over the past ten months, Izidor has also continued his advocacy work for those still entrapped in state institutions. In October, he was a featured speaker at the Romania Without Orphans Gala held in Bucharest. 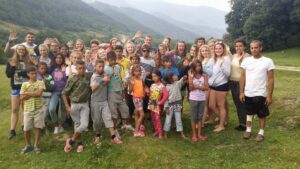 The event offered traumatized parenting training by bringing together several international adoption specialists with Romanians who had adopted, or wanted to adopt. Izidor was also invited to a government meeting in December for the Ministry of Social Protection for Families. He participated in talks about how to stop orphans from “aging out” into the streets through changing the system to include transitional housing with job and life skills training. In September, Izidor’s dad, Danny Ruckel, visited from the United States. It was his first visit to Romania. Izidor will remain in Romania until Spring 2018. Over the last several months, many of Izidor’s international supporters have mailed goods and supplies to Love Light Romania to support its mission.He is very grateful for their aid. But due to high shipping costs, and the fact that the Romanian mail system is not dependable, Izidor requests sponsors consider making a financial donation instead so that supplies can be bought locally. To support Love Light Romania, click here. The Brixton Broadcasting Corporation (BBC News) interviewed Izidor Ruckel about growing up in a Romanian orphanage. View the story on BBC News. Australian Broadcasting Corporation Radio National interviewed Izidor Ruckel on Jul. 6, 2014. 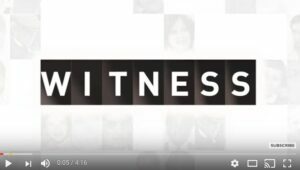 View images and listen to the program here. 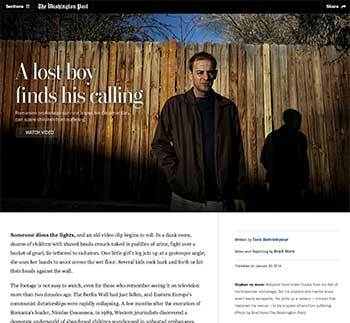 Read the full story and watch the video at The Washington Post website.